Chord has taken the design from the award winning C-line and upgraded all the materials to produce an outstanding value for money handmade high-performance analogue interconnect. The Clearway interconnect uses the same ARAY conductor geometry that they first used on the Chord C-line, and they’ve upgraded all the materials, The ARAY geometry conductors are heavier gauge oxygen free copper, insulation has been upgraded to FEP and the shielding is a dual-layer counter-wound heavy gauge foil design. The design of the Clearway Analogue cable means that they can adapt the ARAY conductor configuration to produce a particularly good XLR terminated cable. The design allows using identical conductors for the hot, cold and earth connections. 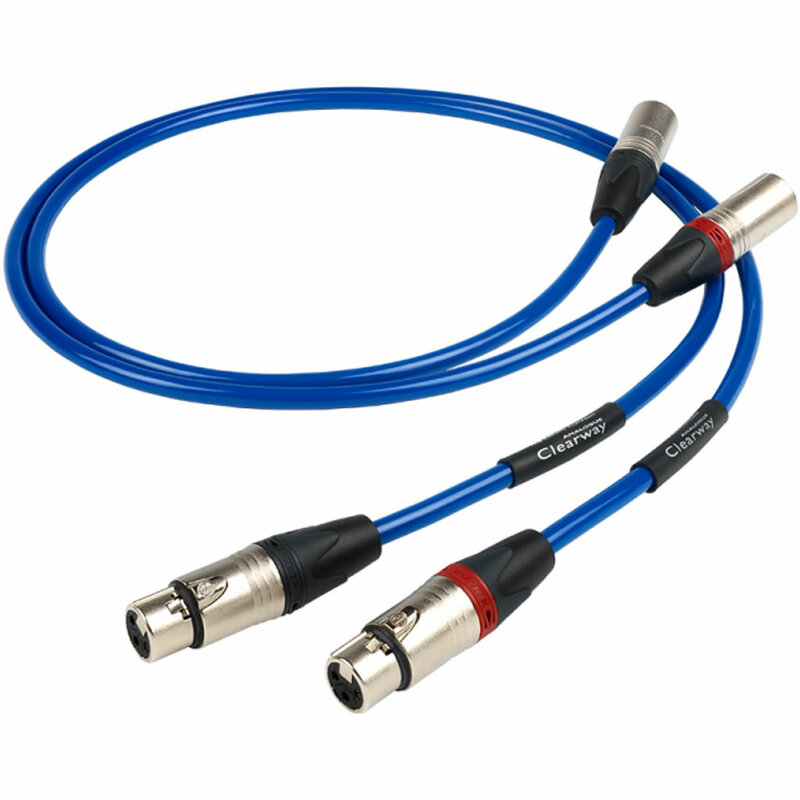 This allows Chord to produce an exceptionally neutral and musically transparent Clearway Analogue XLR cable. The Clearway analogue is fitted with Neutrik silver-plated XLR plugs. Standard lengths are 1m and 0.5m, with custom lengths available to order.